In this week’s Grassroot Perspective podcast, Malia Hill discusses the gun control legislation in the state legislature and responds to listener comments on Senator Schatz and whether there are conservatives to be found in Hawaii. Listen below, and don’t miss the opportunity to submit questions (or possible topics) for next week. Email your questions/suggestions to maliah@grassrootinstitute.org or simply add them in the comment section! And don’t forget to follow the Grassroot Institute on Twitter @grassroothawaii. Views expressed are intended to promote creative thought, educate, and, we hope, prompt comment. Accordingly, thoughts expressed do not necessarily reflect the official position of Grassroot Institute of Hawaii or the author. Please let us know what you think about this reporting. We want to serve your needs, so include your recommendations. Send to maliah@grassrootinstitute.org. Grassroot Institute of Hawaii is a nonprofit, nonpartisan research institute dedicated to the principles of individual liberty, the free market, and limited, accountable government. Through research papers, policy briefings, commentaries and conferences, the Institute seeks to educate and inform Hawaii's policy makers, news media, and general public. 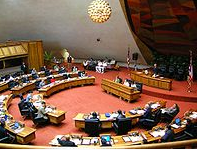 Committed to its independence, the Grassroot Institute of Hawaii neither seeks nor accepts government funding. The institute is a 501(c)(3) organization supported by all those who share a concern for Hawaii's future and an appreciation of the role of sound ideas and more informed choices.